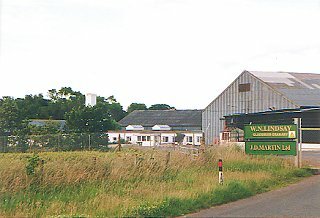 A location and privately-owned science park, lying a half-mile (1 km) north of Gladsmuir in East Lothian. The Elvingston Science Centre was built in 1997 on the estate of Elvingston House, a Jacobean-Baronial edifice built in 1837. The centre promotes the commercialisation of university spin-outs and the incubation of new high-technology companies. The estate also includes an 18th Century doo'cot and Elvingston Stud, which breeds horses for competition.